Health research company for effective systems solutions. 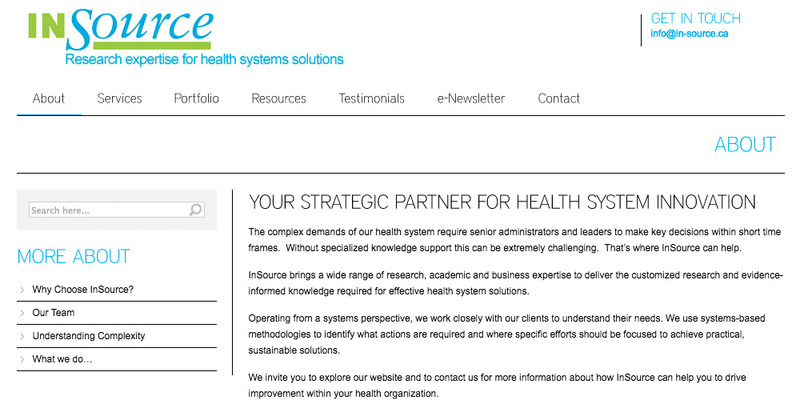 Created a new WordPress site and a new brand for this health system solutions company based in Canada called In-Source. Migrate WordPress and Theme to a new host, to save annual fees and to a more stable platform. Upgrade WordPress Theme and re-code entire site using HTML, CSS and PHP. Provide advise, procurement and installation of GeoTrust Security Certificate.